The Hunters have been privy to Riordan’s movements for ages, eager to take him down in any way possible. Considered a ragtag group of mercenaries, Riordan and his cohorts think that The Hunters are easy to take down. Little do they know, looks are definitely deceiving. The group, led by Jesus and Dolores Montoya, has huge bones to pick. The death of their daughter, a necessity that Jesus and Dolores found necessary in order to keep her from harming others after becoming a vampire, is one thing that they resent Riordan for. Hiring the likes of Angelica Morales, a former bodyguard, Marcus Van Niekerk, a formidable, yet very deadly mercenary, Cantrell Ryker, a man who was said to have died so long ago, and several others, with the hopes of crippling Riordan’s empire. A traitor lies within their midst, one who will stop at nothing. Racing against what little time they have, the groups set out to end the lives of those who’ve Riordan their loyalty. Things start to look sketchy, yet hope is on their side. For they hold the key that may end Riordan’s rule, once and for all. I absolutely enjoyed this book. Found it very well-written. Gregory adds quite a spin on this vampiric tale that will leave the reader wanting to read more. I hope that some day soon he’ll consider continuing the storyline found within this book. I’d love to know what happens next with the group. For centuries, vampires have owned the night. And in Fort Worth, Texas, master vampire, Louis Riordan, aims to keep it that way. With the help of Lin Tang, his lethal enforcer, he will unite sixteen of the continent’s top master vampires into the most powerful undead alliance the world has ever seen. 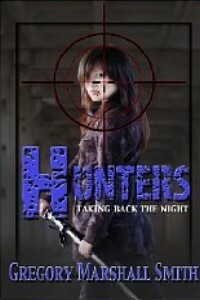 Rumors abound that Lin Tang’s most hated enemy, Cantrell Ryker, has returned from the grave and there are hunters in town, ready to take back the twilight. Vastly outnumbered and outgunned, with dissension in the ranks and a traitor in their midst, these hunters fight for humanity side by side. They now have a weapon that could turn the tide of the age-old war between man and vampire once and for all. Gregory Marshall Smith, born in Somerville, Massachusetts and raised in historic Medford, is a decorated Navy veteran. Though sports writing is his profession, in his career, he has been, among other things, a national columnist, playwright, engineer, asset protection agent, editor, safety auditor, fingerprinter, training instructor and sometime actor (Heiju trilogy; Life As We Know It; The Odd Life of Timothy Green; Detroit 1-8-7; Contagion; Walker, Texas Ranger). 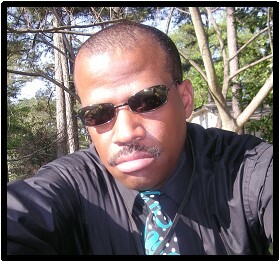 He is the author of the novellas Crawl and They Call the Wind Muryah, along with two anthologies (Dark Tidings Vol. I & II). He has had numerous award-winning short stories appear in Farspace 2, Writer’s Bump, Far Side of Midnight, Spectacular Speculations and SFH Dominion, among others. Hunters is his first full-length novel. Ever restless, he currently resides somewhere in America. This entry was posted in Blog, Books, Contemporary Fiction, Fantasy, Fiction, Horror, Paranormal, Reviews, Tour and tagged Blog, Books, Contemporary Fiction, Fantasy, Gregory, Gregory Marshall Smith, Horror, Hunters, Marshall, Paranormal, Reviews, Smith, Tour by LizzieBeth. Bookmark the permalink.